Thanks for providing those lyrics, jazzbeans! I personally LOVE this single - it's my favorite so far since their comeback. Of course, I'm biased since Sono Speed de is my favorite buriguri song but I think Like Yesterday and Spring Gate are both such solid songs! And I'm loving At Light Speed, with its mellow guitar and how Tommy's voice sounds in the song. 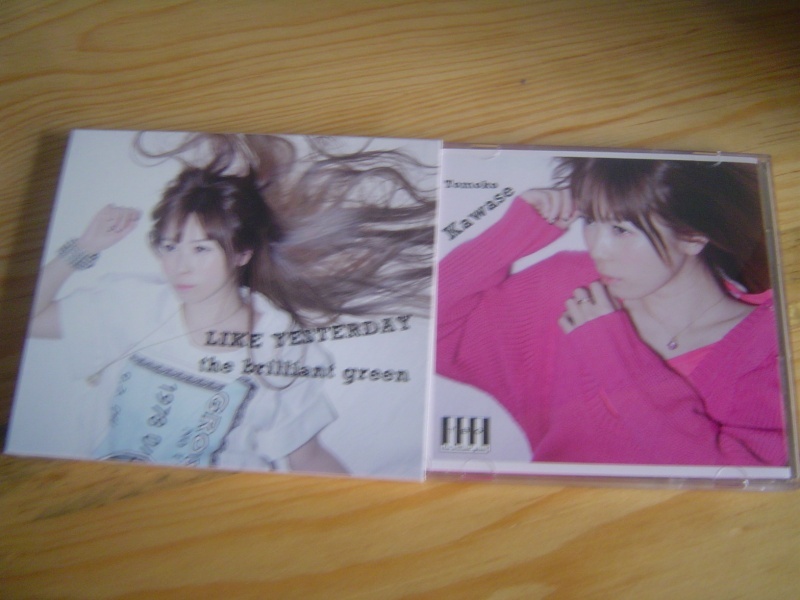 I really like these single's!!! there great!!! i really wished they had save spring gate as a next single, or a hit off a new album, it would have been awesome!!! i really wish they could make a video for spring gate that would be awesome!!! that song makes makes my day every time I listen to it!! are they gonna perform this song on TV? I love Spring Gate, it is a great little song. What can I say about At Light Speed? I adore it!! It just gives me goosebumps all over every time I listen to it. One criticism though, why have they chopped the guitar solo off of the end???? kero-chan!!! your so lucky!!! it looks awesome!!! XD are their anymore pictures in the booklet??? if so please upload!! ^O^ thanks for sharing!!! I will try to scan them tomorrow. There is only one more photo in the back but it is the photo used in the web page, the first photo that was used to promote the single. Also, the back of the booklet is the continuation of the photo where Tommy wears a pink sweater, that is a beautiful one. 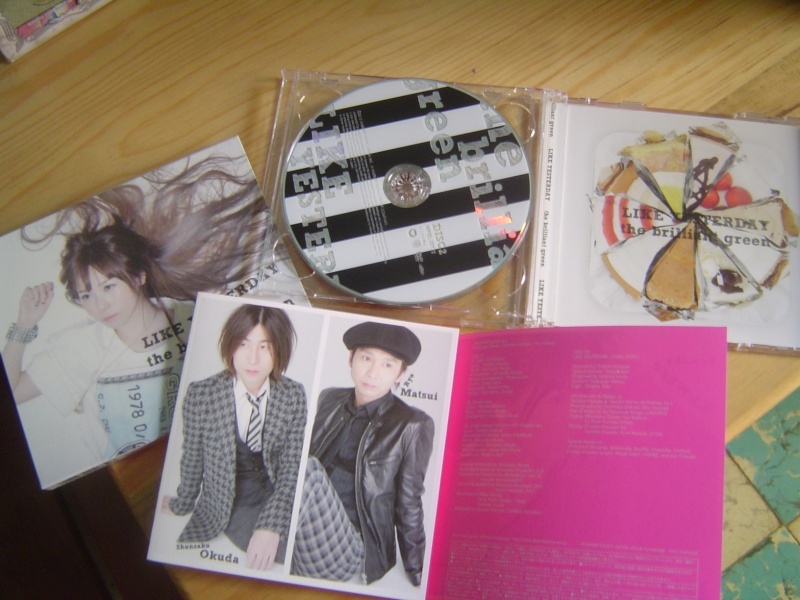 Also the art for the CD is different from the one for the DVD. The external package has also a green sticker. I bought both the regular and limited edition. I still have not open the limited edition. Maybe I will or maybe I won't, time will tell. New Single is absolutely amazing. At light speed was really surprising. I think I like it better than the original. I also think I like Spring Gate more than Like Yesterday. I could have been its own single. Agree with you ghitgo, prefer Spring Gate to the new single even though 'Like Yesterday' is a good track. At Light Speed is the icing on the cake for me, and everyone knows how much I like a cake Cake with Tea...or is it Tea with Cake anyway.....Aaah Megami Sama!!!! I got alittle distracted..
For anyone that doesn't have these yet, I've scanned both versions and put them up on my Tommy site. I want to see tbg live!!! They really need to do some TV performances. Like right now. NOW. I agree, cannot find any. Only things I've found are the 1440x1080 & 1280x720p PVs of Like Yesterday. No TV performances..
they will be performing on WARNER MUSIC JAPAN 40th Anniversary on March 30th, I think this will be broadcasted, huh? that's so awesome!!! ^O^ i can't wait!!! XD hey does anyone have the English lyrics to like yesterday ???? ?